Aromatherapy is a kind of alternative medicine that makes use of fragrant essential oils derived from healing plants. Despite its name, aromatherapy doesn’t just focus on letting people inhale essential oils. They can also be massaged directly onto the skin. Carrier oils. These are vegetable-derived, neutral-smelling oils that dilute essential oils for use on the skin. Herbal distillates. Also known as hydrosols, herbal distillates are colloidal suspensions of essential oils considered to be safer and gentler than essential oils. Phytoncides. These are plant-based, volatile organic compounds that kill or inhibit microbial growth. 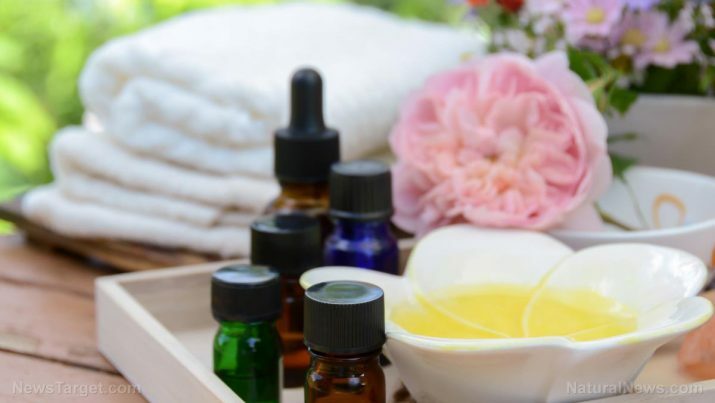 The practice of utilizing essential oils for therapeutic applications goes as far back as the times of the ancient Chinese, Egyptians and Romans. However, the modern concept of aromatherapy can be credited to the French chemist René-Maurice Gattefossé – the Father of Aromatherapy. His interest in aromatherapy began when he put some lavender oil on a burn on his hand, and noticed that the burn healed quickly with little scarring. Jean Valnet, a French surgeon and army physician, contributed to this growing body of knowledge by using essential oils as antiseptics during World War II. The most popular use of aromatherapy is for stress relief. Essential oils such as lavender, bergamot, peppermint and ylang-ylang have aromatic compounds that act as relaxants and help eliminate anxiety. According to HealthFitnessRevolution.com, the soothing qualities of essential oils are such that a study was carried out to determine the effects of aromatherapy on pregnant women. Conducted by researchers from the Iran University of Medical Sciences, the team discovered that women who had been exposed to rose oil aromatherapy had lower stress levels during delivery. Second to relieving stress, another widespread use for aromatherapy is to boost mood and reduce feelings of depression. Rather than replacing psychological help, however, aromatherapy can serve as a complementary treatment. For this, the best type of essential oils are chamomile, jasmine, peppermint and lavender. Far from just soothing the mind and enhancing one’s mood, aromatherapy can help those who lack sleep. The essential oils with the most potent sedative effects include lavender, jasmine, chamomile, rose and ylang-ylang. Aromatherapy can be used to remedy digestive issues too, specifically indigestion, constipation and bloating. Essential oils of lemon, orange, ginger and clary sage do this by speeding up one’s metabolism, which in turn allows food to be digested quicker. Peppermint, sandalwood, rosemary and eucalyptus essential oils are said to be good for headaches and migraines. For this, the essential oils must be mixed in with a carrier oil, to dilute them, and then rubbed onto the scalp, neck and temples. Avocado, coconut, almond, kernel and sesame are good carrier oils for this purpose. Aromatherapy is most often utilized to relieve ailments and conditions of the nervous system (headaches, migraines) and the digestive system (indigestion, constipation). In addition to these, aromatherapy has proven useful to enhancing the function of the circulatory and immune systems. The immune system, in particular, is said to benefit greatly from aromatherapy. Certain essential oils like tea tree and eucalyptus essential oils possess antibacterial, antimicrobial and anti-fungal properties that can remedy skin rashes and irritation. Aromatherapy is an alternative medicine that uses plant-derived essential oils to treat a variety of conditions. These range from headaches to indigestion to muscle aches; aromatherapy can be utilized as a means of stress relief as well. However, aromatherapy can be harmful to some people with conditions like eczema and hypertension, making it important to know the state of one’s health before meeting an aromatherapist or performing aromatherapy.